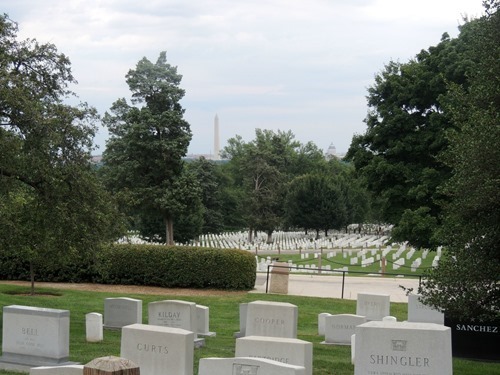 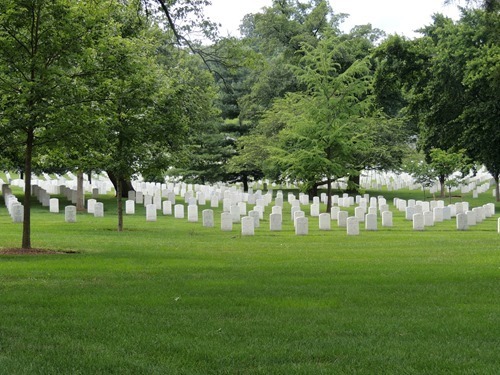 After our visit to Ford’s Theater and our lunch with a friend, we continued on to our last stop on our Washington D.C. adventure – Arlington Cemetery. 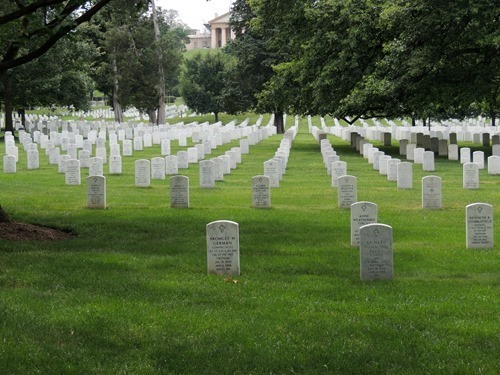 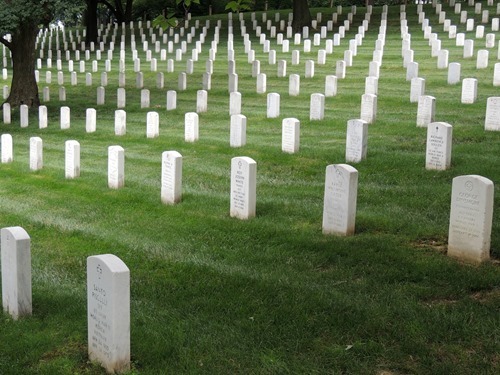 We hadn’t been sure if we would go to Arlington because we weren’t sure the kids would appreciate it, but in the end, we think it was worthwhile. 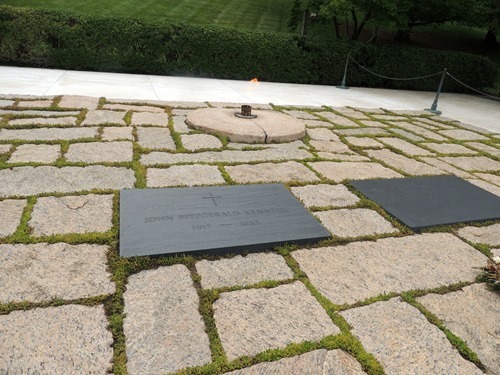 We decided we wanted to see JFK’s gravesite, which we did. 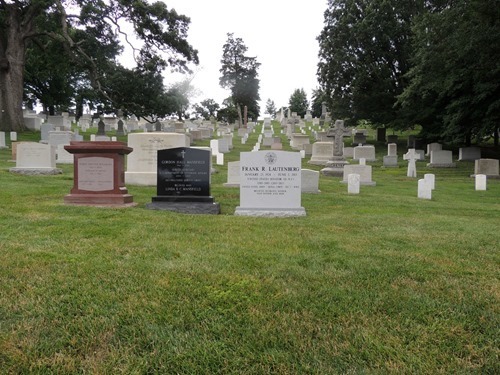 A former representative from New Jersey. 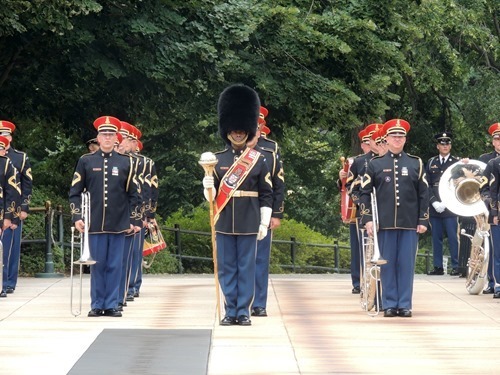 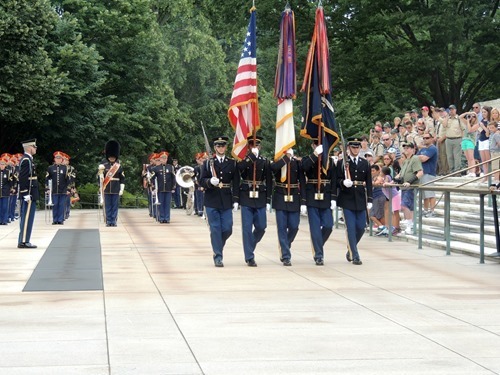 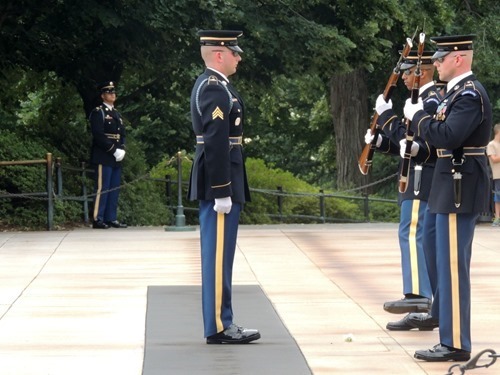 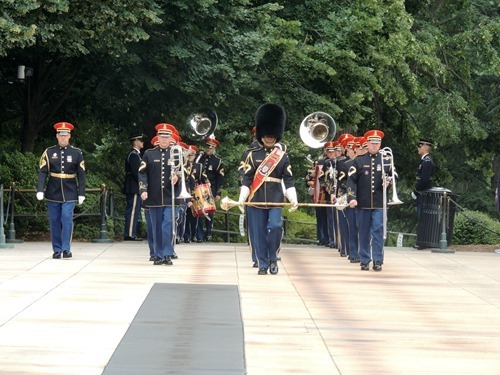 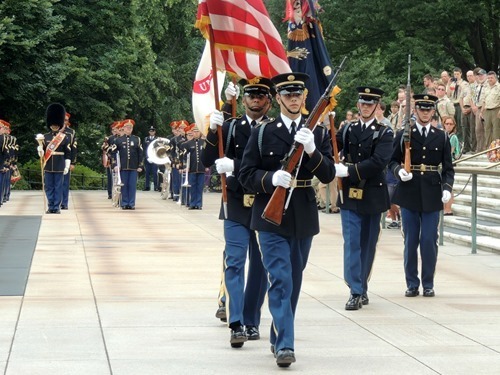 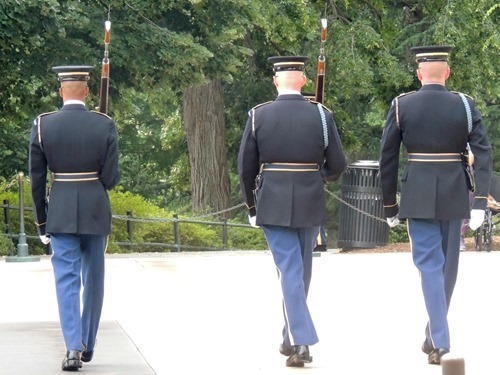 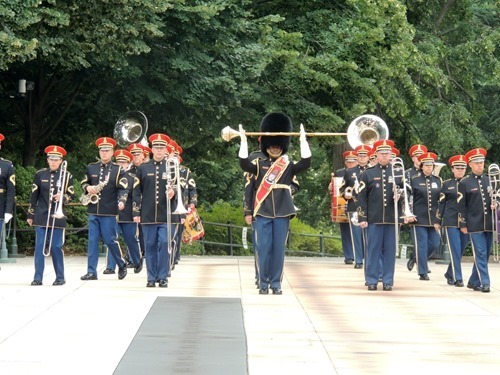 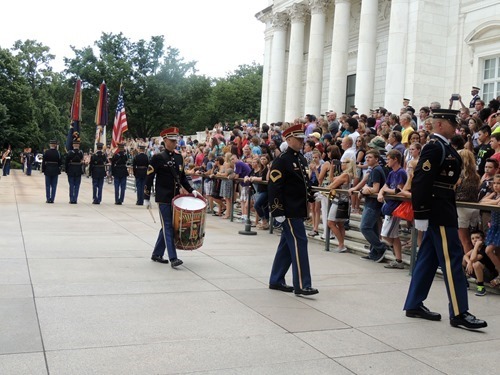 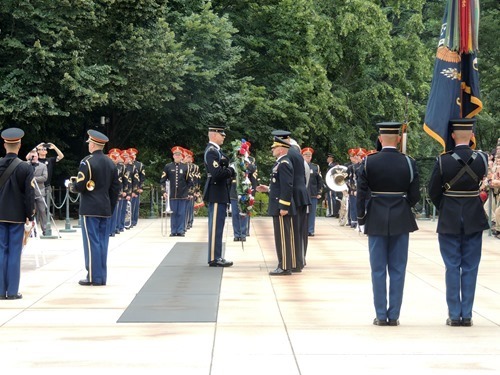 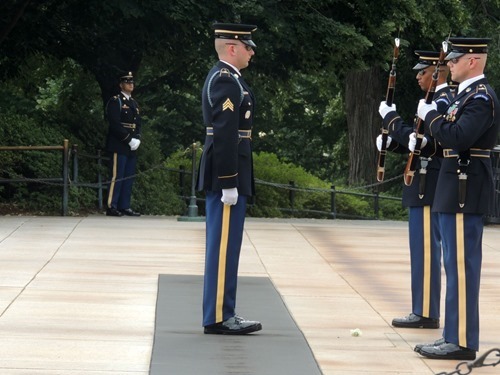 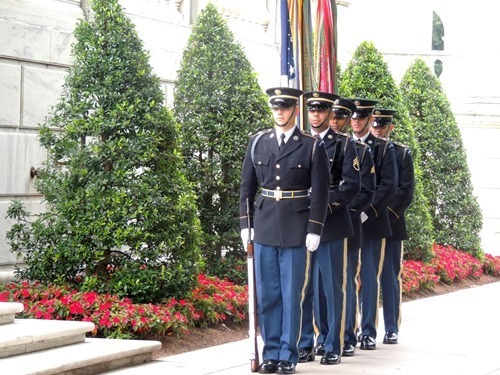 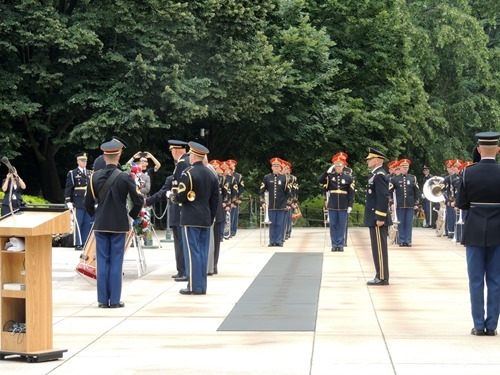 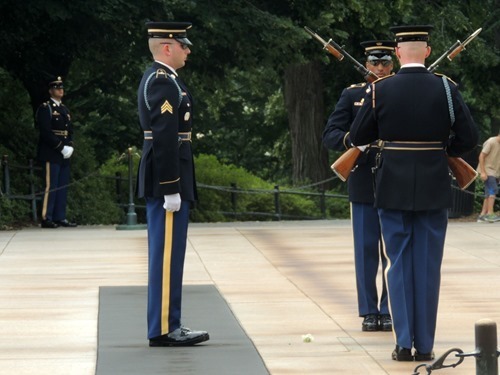 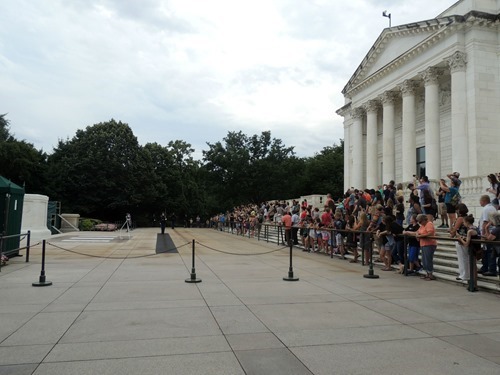 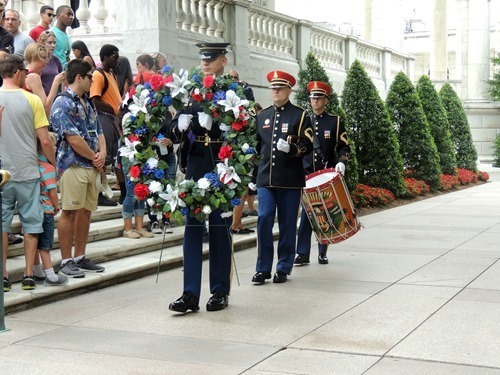 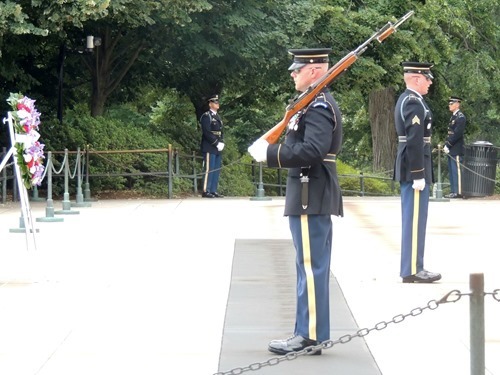 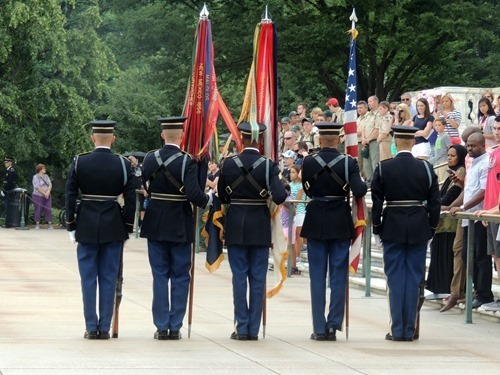 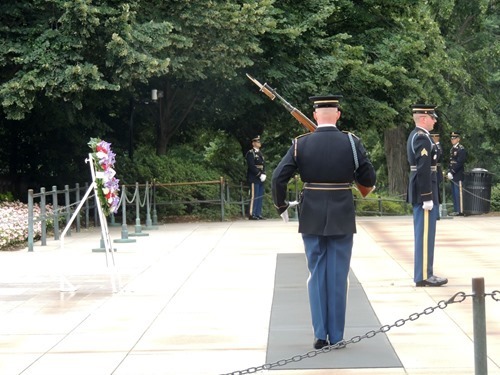 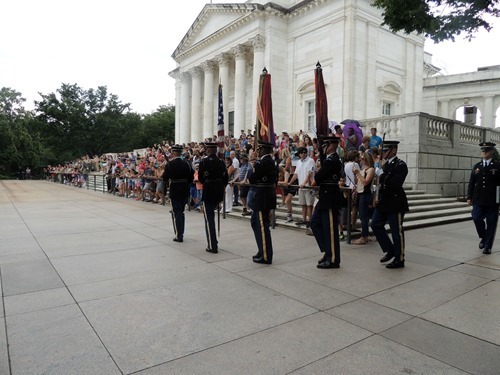 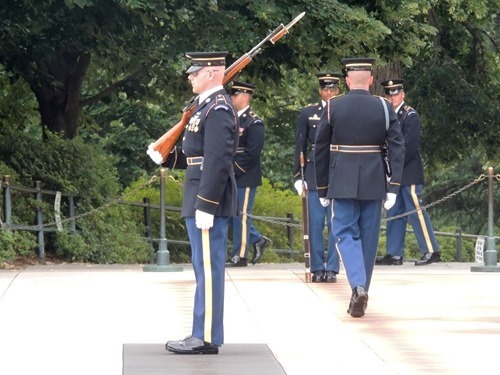 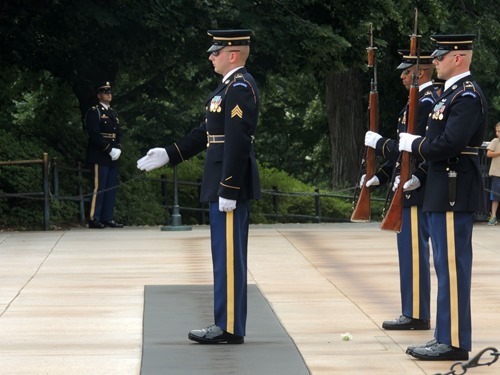 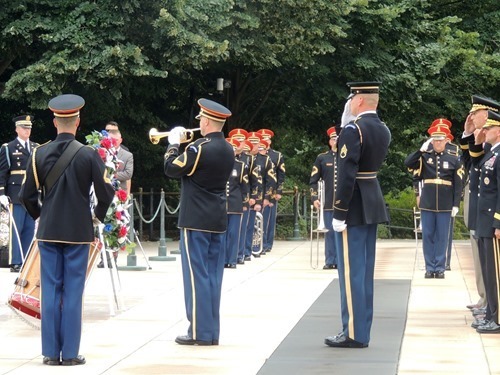 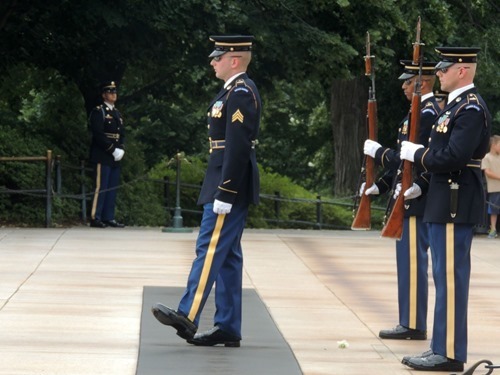 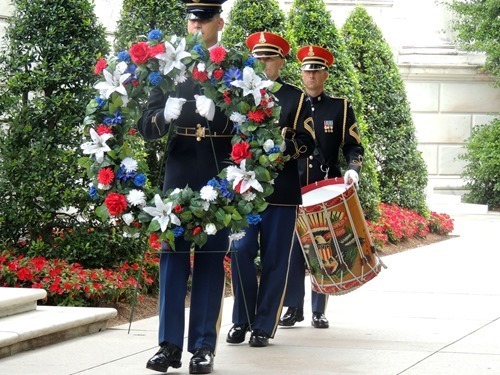 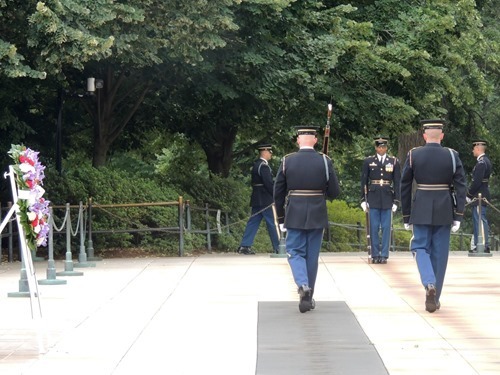 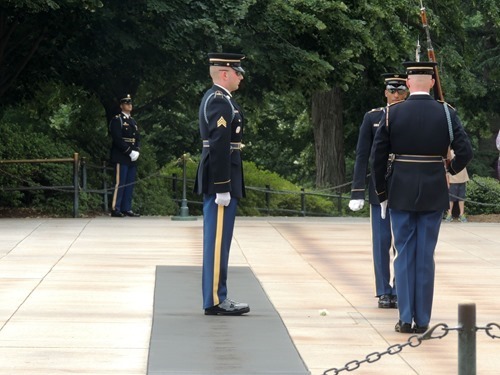 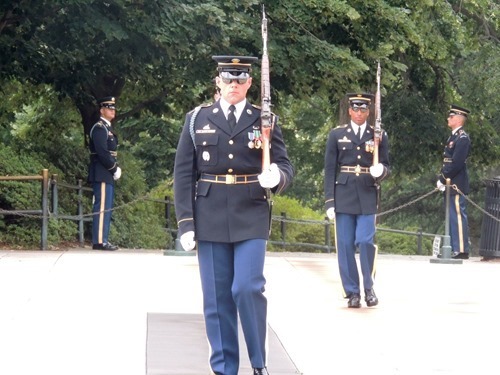 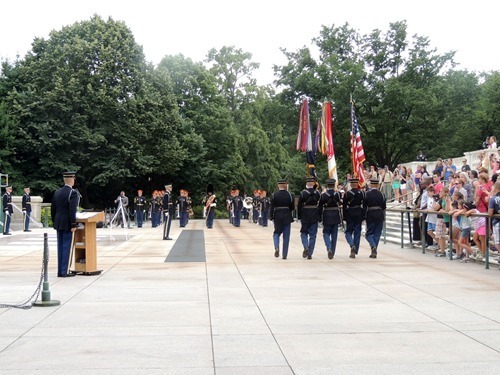 We arrived at the Tomb of the Unknown Soldier at what looked to be a perfect time – the Changing of the Guard. 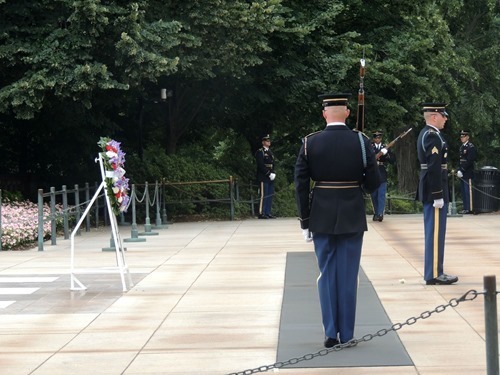 However, we ended up witnessing a Wreath Ceremony as well. 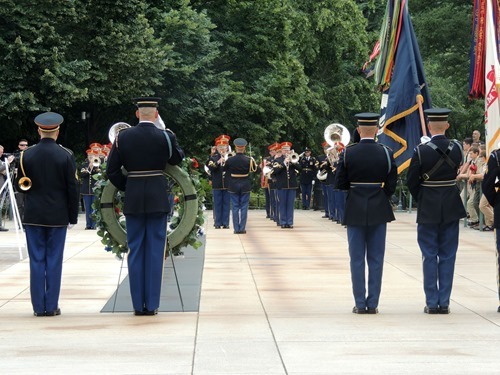 We weren’t sure what was happening, but they changed out the wreath you see in the photo below with the help of hundreds of soldiers, a color guard, and a band! 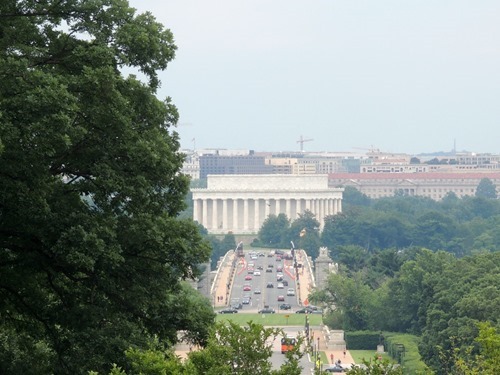 This concludes my recap of our trip to Washington D.C. Hopefully you found it interesting!